Good scientific content deserves clear writing. We have brought together teams with expertise in subject-relevant editing and reviews to ensure that manuscripts meet international standards of scientific English and are free of grammatical, spelling and other common language errors. Select the plan that best suits you! 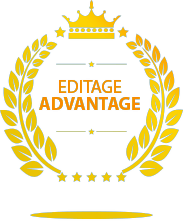 Get perfect editing support for your manuscripts with Editage’s English-language editing and proofreading services. With 2000+ professional editors from over 1200 subject areas, we have experts for every manuscript type, including research papers, theses, dissertations, business documents, annual reports, speeches, presentations, posters, website content, and more.